X-Men First Class wasn’t a film I had particularly high expectations of. 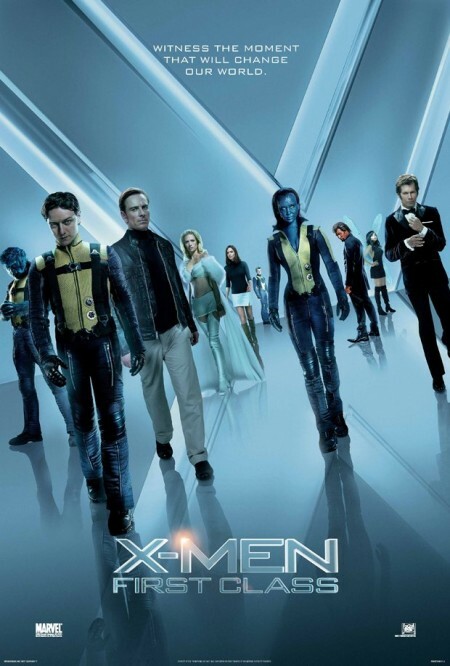 Super hero films aren’t my first choice for a night out and the X-Men haven’t really done a lot for me in the past. On top of all that I was struggling to imagine James McAvoy as a young Patrick Stewart. So I was pleasantly surprised by just how good X-Men First Class was. Until I saw this I’d have thought any attempt to do ’60s Bond chic would be destroyed by the memory of Austin Powers. Yet this film plays it so well that it pulls it off completely. From tiny details like black roll neck sweaters to wallpaper patterns to the architecture to submarines hidden in boats the attention to detail is phenomenal. All the central performances are believable and enjoyable. The special effects work with horrible glitches or glaringly bad moments. The sound track fits the era and the film. The story is fun. The villain, henchmen and henchwomen are just close enough to any Bond villain but the serial numbers have been lovingly filed off. I feel bad about having one little quibble but having seen this film I’d have loved to see another film with McAvoy’s Xavier and Fassbender’s Magneto sparing as friends. So overall I really enjoyed X-Men First Class its quite possibly my favourite super hero film of all time. All the central performances are believable and enjoyable. The special effects work with horrible glitches or glaringly bad moments. The sound track fits the era and the film. The story is fun. The villain and henchpersons are just close enough to any Bond villain but the serial numbers have been lovingly filed off. So overall I really enjoyed X-Men First Class quite possibly my favourite super hero film of all time.